Se lo scorso mese abbiamo dedicato un focus specifico sul festival TNT di Terrassa – Catalunya, in questo numero vogliamo parlarvi di un piccolo teatro di Barcellona – l’Antic Teatre – che ci pare particolarmente interessante per la sua attività vocata alla produzione di giovani artisti indipendenti. Tale attività e vocazione ci paiono particolamente significative tanto da segnalarla al nostro pubblico nella speranza che I giovani artisti italiani prendano in seria considerazione l’idea di avviare coproduzioni con realtà estere in modo da far respirare i propri lavori e dar loro un risvolto internazionale. L’intervista è stata fatta con il team di Antic Teatre durante il TNT festival di Terrassa e si è svolta in inglese: la riportiamo quindi in lingua originale. EP: What kind of theatre is Antic Teatre, exactly? ATT: Antic Teatre - Espai de Creació is an independent Cultural and Social centre based in a cultural heritage building, dating from 1650, in the very heart of Barcelona, in the Sant Pere neighbourhood of the city’s old town. 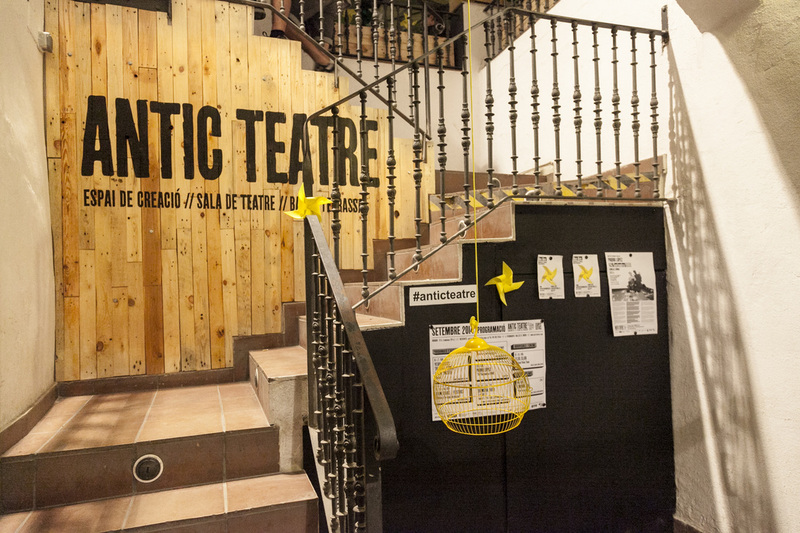 Antic Teatre is one of the reference points for cutting-edge independent performing arts in Barcelona. It is structured as a resource centre for multidisciplinary arts focusing on research, innovation and the development of new languages in performance, and it’s the only venue in the city that has, for over ten years, provided regular programming based entirely on research. EP: Could you please tell us about Antic Teatre history? ATT: Antic Teatre was founded in 1879 by architect Joan Martorell under the name of Círculo Barcelonés de Obreros San José. During the first years of activities were mainly related to the education of adults and labourers’ children, alongside cultural and leisure activities. With the crisis experienced by associations in the 80s and 90s, the Circle’s activities decreased and social events practically disappeared. This bleak situation continued for 20 years. In 2003 independent artist Semolinika Tomic and a group of multidisciplinary artists looking for a rehearsal space for their creations discovered the space and reopened its doors to new social and artistic activity. 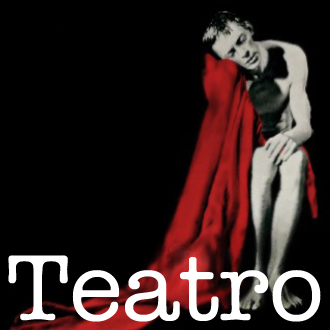 In 2005 The Barcelona City Council (Ayuntamiento) wanted to close the Antic Teatre because it did not comply with existing safety regulations. Political negotiations were begun in order to save the space and begin complete restructuring of the building. In 2007 The architectural project and finance plan were put in place, and between 2008 and 2009 the first phase of works began, and Antic Teatre reopened in 2010, after a complete refurbishment of the building. In 2013 was developed the second phase of works. Finally, after so many years, we’ve obtained our license to do public activities. EP: What is its missions? ATT: To support and encourage professional artists who avoid established techniques and repetition of methodologies in their experimentation, creation, production, exhibition, promotion and dissemination endeavours, by freeing them from market pressures and demands and so boosting innovation and risk. Antic Teatre defends the concept of independent centres emerging as a result of citizen or artists’ initiatives. Antic Teatre maintains its independence both in its project development and its funding. We support absolute freedom in creative thinking, which we believe should always be critical, politically incorrect and challenging. We operate as a social business, and more than half of our funding is supplied by our own income from the bar and the box office, and from sponsors. 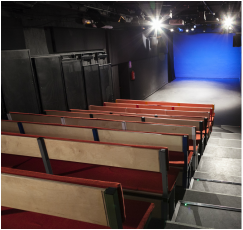 EP: What about Antic Teatre’s projects? 1. Support for research, creation, production. Providing rehearsal space for artistic residencies working on research-based projects. Programming includes touring shows, premieres and presentations of works-in-progress as well as open rehearsals by local, national and international artists. Contributing to local cultural planning and artistic collaborations with organisations, institutions and neighbourhood associations. EP: Talking about production: How do you do it? Does the Catalunian/spanish cultural and political context favour the production of new creations using new expressive languages? 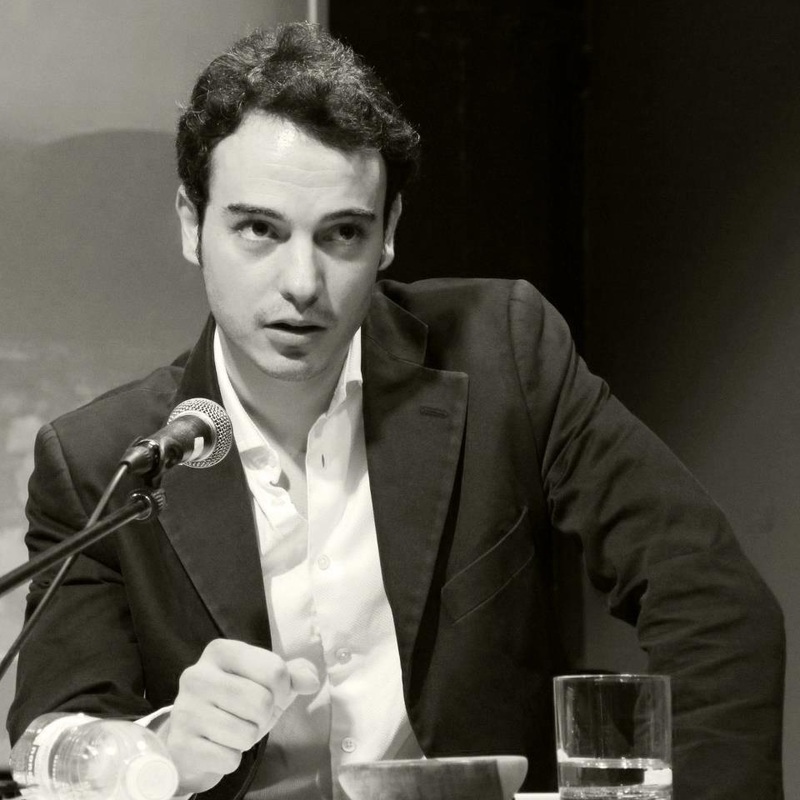 ATT: Thanks to a three-year grant from the Generalitat de Catalunya, in 2015 Antic Teatre has started its own production and management enterprise. With the aim of extending the idea of Antic Teatre beyond our own auditorium, we will select and produce a number of projects that tie in with our artistic style, and facilitate their exposure in new spaces and contexts. As part of this new phase Antic will manage the financial aspects and coordinate the production of each project. We will also manage the distribution of our own shows and those of companies in our line of work. Our policy is to work in collaboration, generating and facilitating networks that will increase the visibility and presence of our particular line of creation at local, national and international levels. The current state of cultural policy in our country is catastrophic. Between 2011 and 2012 and due to the economic crisis, almost all lines of public financial support for creation were removed. This has caused the disappearance and closure of centres, projects, festivals, companies and artists, leaving the latter in such precarious positions that they are forced either to emigrate or to find ’subsistence’ work in order to pay for their own creations, and in the worst cases, to stop creating. Antic Teatre holds on thanks to its bar; without the income from this, we would no doubt find ourselves in the same hopeless situation. EP: Could you tell us about the young artists that have started their artistic life on your stage? ATT: As a theatre, we have opted explicitly for RISK. We don’t support or programme artists because of what we know about their audience appeal, or because we think that their show “will work”, but because we believe in them and what they do. We support young and emerging artists, as well as established independent artists whether they have yet to become known or whether they have a well-recognised career. EP: How can an independent creating space like Antic Teatre survive in this time of crisis? How it supports its activities? Is there any form of support from institutions? ATT: The idea of being INDEPENDENT is very important to us because independence means that the project has emerged as a result of citizen initiative; from the real needs of a group of artists, and not from the initiative of a government administration or the ruling political party. We are independent because we have total freedom of creation, which we believe is always critical, politically incorrect and challenging. And that, in general, is not supported by governments. We also have complete freedom in our programming and in how we construct our project, which is subject to constant change just as life itself is and follows cultural, political and social currents. As far as we are concerned, an independent project must rely on its own income for at least half of its funding. Antic Teatre is financed primarily by the income from the bar, the box office and sponsorship, and in lastly by public funding where we compete for what is available (we have no agreements in place). This information is on our web page and we are continually demanding transparency for all public or independent projects. So far, with no great results. We in Antic Teatre believe that European Union levels of support to culture are growing smaller and are being absorbed by the trends of neo-liberalism and restricted access for independent creators. A good example of neo-liberal policies in action is the Margaret Thatcher approach of the 1980s in the UK, where she deliberately destroyed community art spaces and bought up their premises and left them with ’art’ for arts sake: dance, theatre etc. No more open places. Now you had to have ’talent’ and be ’accepted’ as an artist. The arts centres became just venues. And it was the Arts Council’s job to implement her policies, which meant only ’centres of excellence’ got finding. She also introduced the idea of creative European cities with Art Factories as economic engines for cultural industry, operating under the same principles as shopping centres, whereby artists pay to occupy a series of shared studios and are then obliged to come up with some kind of commercial product for the industry. Under these conditions, an artist who doesn’t make money is of no interest. We defend the notion of culture as a social right and not an industry, where each citizen may have a real experience of practicing any art form and where everyone has free access. In our opinion, we pay for all public cultural institutions with public money obtained from our taxes but when we want to visit these, we are made to pay a second time: admission. We pay for culture twice. And those who cannot pay are denied access to it, and therefore to knowledge and information.